For many years I have claimed that Pink is my favorite of all the colors. And that is still true but I have many colors that I love; Teal, Purple, Turquoise and many others but lately I have been on a Coral kick. I had been hoping to receive a stamp set I had ordered last week in time for a challenge I was participating in but it never arrived until Monday afternoon. Turns out, I love it even more than I thought I would. 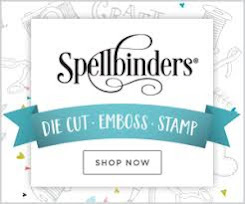 My regular one-stop shop for card making supplies doesn't carry this particular manufacturer. In fact, so far, it's only available for purchase through their own company called "The Ton" which is a historical reference to "Couture Style" in the British Aristocracy. It's Effie's desire to bring couture style to the stamps she designs. I think it is interesting to note that Effie also happens to be a lawyer. One of the things I most like about The Ton Stamps is their size. My primary complaint with most of the stamp sets I have is that the images in them are so small. I love these big bold and beautiful images in The Ton's Peony Series that I can watercolor. This particular one is called Large Peony 2. I colored this last night using Abandoned Carol Distress Marker with Forest Moss and Mowed Lawn for the leaves. I know y'all might get tired of seeing Watercolor, but I never get tired of doing it. Even when I do two of the same image in the same colors, they are never the same. My favorite medium for watercolor is Ranger/Tim Holtz Distress Markers which come in a whole slew of colors - 60 in all I think. But I recently worked on a project where I was trying to stay with one brand of coloring medium and couldn't because I didn't have an orange color in a Distress Marker. I actually have more yellows than oranges and if you you know me very well at all, that is somewhat amusing, *wink*. Anyhow, I added a new color to my Distress Markers in what appeared to be a nice shade of orange called Ripe Persimmon. I'm not really a "pumpkin orange" kind of girl although now I need one that color. Thank goodness for Simon Says Stamp who sells the colors individually so I can add one or two at a time and not have to buy a whole set in one shot. This also allows me to buy only the colors that I personally will use. So, I got this Ripe Persimmon Distress Marker a few weeks ago but I like to take time to know how each color reacts with water before actually starting a project with it. Distress Markers are ideal for watercoloring as the formulation is designed to react with water each and every time. But I learned early on that they aren't that predictable for watercolor if you haven't used a particular shade before. I have to know what it does and how it behaves with the water. And with any watercolor medium, you have to let it dry before you can see the end result. I always talk about how Seedless Preserves is a favorite Distress Ink color and I like to call it "My Little Extrovert" because what goes down as purple becomes pinky purple or a color I would call Thistle. Well, as I was finishing up some work last night in my studio, I grabbed the Ripe Persimmon really quick with a strip of watercolor paper that had been cut off of a big sheet. I made a mark on the scrap of watercolor paper and then added water to it with a brush. Oh my goodness - this wasn't the color I was expecting AT ALL! I'm adding a little swatch here for you to see. There's that orange, then that hint of peachy pink and the golden edges all dependent on how much water you use with the color. This color needs it's own little nickname too although I can't think of one at this moment. The finishing touch on each of these cards is the sentiment from the Papertrey Ink Stamp Set called "Scripted". The first card also used a technique I learned in a previous class and is one that Laurie Willison taught for this week's Make it Monday at Papertrey Ink. 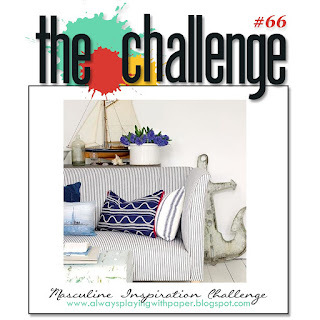 The Simon Says Stamp Wednesday Challenge is Anything Goes featuring Ranger Products. 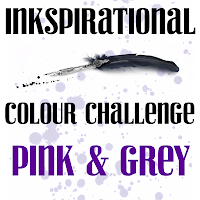 I'll be entering the top card for the Papertrey Ink Challenge and the second card for the Simon Says Stamp Wednesday Challenge as well as the Challenge over at Inspired By All the Little Things #8. 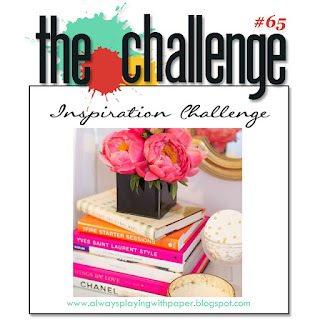 I was also invited to participate in a Challenge that is new to me called Word Art Wednesday. Thanks for the invite! Thank you so much for stopping by today and I appreciate all of the kind comments you leave. This week over at Always Playing With Paper Challenge #66 we have this Nautical Style Masculine inspiration image. I confess, I struggle with masculine cards but one of the things I've decided for myself is that bold & graphic is better when it comes to men. I really love stripes for masculine cards and I have this great paper that has foiled stripes on it. When I saw the inspiration image I knew I wanted to pair that up in some way for today's card. I started with a 5.5 x 4.25 inch top folding notecard made from the Navy & Gold Striped paper. I mounted that to another fairly thin white notecard as neither was thick enough on their own to make a very good card. Using a Simon Says Stamp Stitched Rectangle Die, I cut a smaller panel from the Gold & White stripe paper. To give a fun feel without going to extremes I adhered this panel skewed to the right but lined up somewhat with the gold stripes on the background paper. I cut a Papertrey Ink Text Block - Horizontal Birthday die cut from Gold Foil Cardstock with a piece of SU! Night of Navy cardstock behind it and then adhered that skewed in the other direction. I also cut 2 candles from a QK Revolution Die. I put a solid gold candle behind the star cut out candle and covered the navy card stock with Wink of Stella Clear Shimmer. My photo doesn't really show this very well, but I promise - it's there. This turned out to be a bold graphic image that is perfect for a masculine card. I used a scrap of glitter card stock for the center of the candle which is about as much glitter as I dare to put on a masculine card. This was a super fast and easy card to make and there was no stamping at all. A couple of die cuts made for quick work. 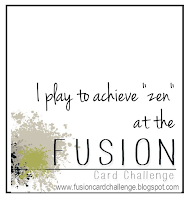 Thanks so much for stopping by today and be sure to check out the other great cards inspired by this image over at The Challenge. There are some great ones there already! Today is the Monthly Blog Hop for Papertrey Ink. 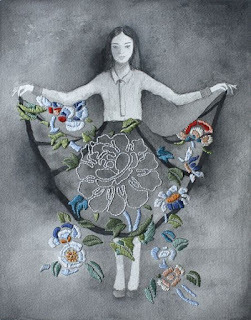 The inspiration image is from Izziyana Suhaimi who combines embroidery with paper crafting to create some incredible images. If you'd like to see more of her work, follow this link! For this challenge, I created a card that used a few different techniques on it including the one that Danielle Flanders showed in her "Make it Monday" for this week. It's Emboss Resist with Ink Blending which you know is one of my favorite techniques. To begin with, I partially stamped this background stamp called "Filigree" (a way old SU background stamp) over the lower right hand side of a piece of watercolor paper using Versamark. Then I rotated my paper 180 degrees and did it again. To create the resist, I covered the stamping with Simon Says Stamp White Embossing Powder and heat set it. Once the ink is dry, go over your embossing with a baby wipe or an absorber to keep it nice and white. To color the background panel, I used a Mini Ink Blending Tool with Papertrey's Perfect Match Lavender Moon Ink and applied it using circular motions. 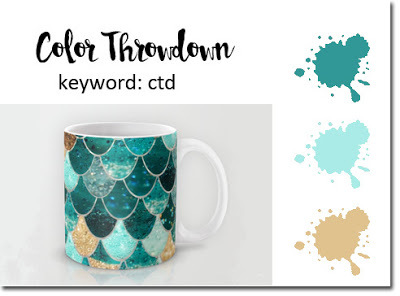 My, how I love this color! When you start your ink blending, you always need to use a light touch and then increase the pressure with additional layers to deepen the color. I also inked all the edges for a more defined look to my background panel. I die cut a few of each size flower in the Embroidered Blooms coordinating die collection called Beautiful Blooms II. Then using my negative as the place holder, I stamped them in Lavender Moon and Plum Pudding Inks. 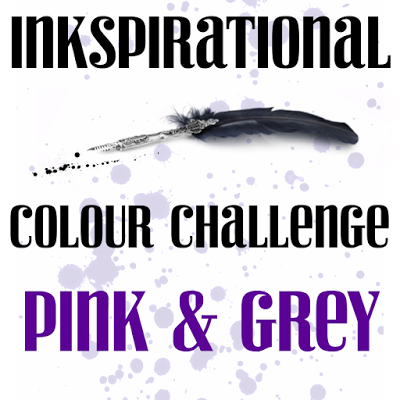 I just love both of these colors although I am partial to the Lavender Moon. Let me just mention here that I hadn't realized it before, but there is only one correct way that the positive fits into the negative. Keep rotating it until the fit is perfect. The petals seem identical, but they are not. I didn't get the stamps lined up perfectly on the smaller flowers, but they remind me a bit of pinwheels which I thought added to the whimsical feel. For the leaves I first die cut and then stamped the solid image from Turning a New Leaf Stamp Set in Mint Julep and then stamped the "embroidered" image from Embroidered Blooms. I love that these two stamps set work together with the same set of coordinating dies. What a fantastic idea and I hope to see more of this! To finish up my card, I cut the Simon Says Stamp "Smile" circle greeting from some gold foiled card stock. I chose this greeting because people always smile when they realize that you've been thinking of them and just wanted to let them know. 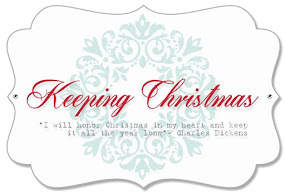 A note card is the perfect way. I mounted the ink blended panel to my card base made from Stamper's Select #110 White top folding card base, then took all of the pieces I had stamped and arranged them how I wanted them on my card front. Once I had them all arranged to my liking I applied small foam squares to the back of the leaves and in the center of the flowers. The top piece of the stem is glued down with Ranger Multi Medium Matte. Since the foam adhesive is only at the center of the flowers, I could bend all of the petals slightly forward to give a bit more dimension to my project. 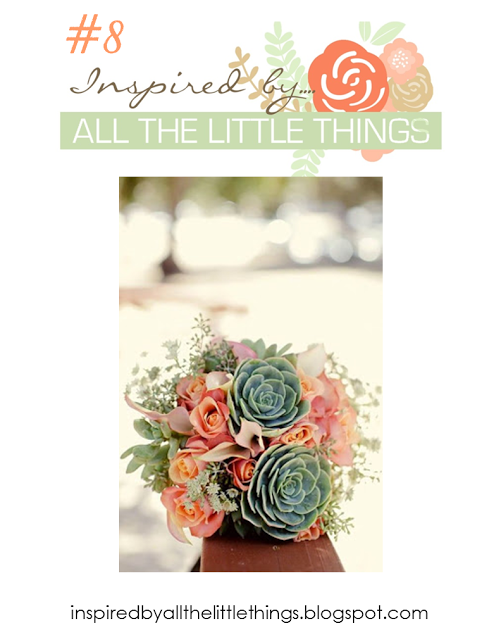 I've got a few other projects on my radar this week so be sure to check back! 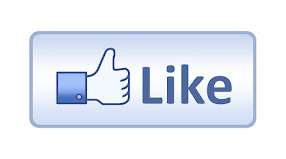 Thanks so much for stopping by and taking time to leave a comment if you like! 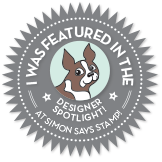 The theme over at the Simon Says Stamp Wednesday Challenge Blog this week is "Cute and Cuddly". I don't normally do critters for the most part, so I have very limited supplies in the cute and cuddly category and what I have tends to lean in the direction of Christmas. However, I just happen to have this New Day Stamp Set from WPLUS9 Design Studio. I love Chickadees. Just the name sounds happy and cheerful. There are so many trees budding and blooming this time of year and so many little birds surveying the landscape from their branches. It's definitely one of my favorite times of the year with all the blooming flowers and trees. There's the Redbud, Crabapple, Plum and Pear trees all providing fragrance to the air around us and signaling the new day. Last year we had so much rain that my magnolia blooms only lasted a few hours before they were so heavy that they fell off the tree. I'm hoping this year we get to enjoy it more. I water colored this little Chickadee using Distress Markers in Pumice Stone, Gathered Twigs, Black Soot, and just a hint of Worn Lipstick. For the halo effect around the bird, I used a combination of Tumbled Glass and Spun Sugar to try to convey the feeling of a new day. For the buds on the tree I used Light Pink Zig Clean Color Real Brush Pen with Mowed Lawn Distress Ink for the early Spring leaves. I also put a dot of white gel pen on each little bloom for a highlight. To help make the mask a little bit whiter and brighter, I used a White Prismacolor Pencil with my water brush. 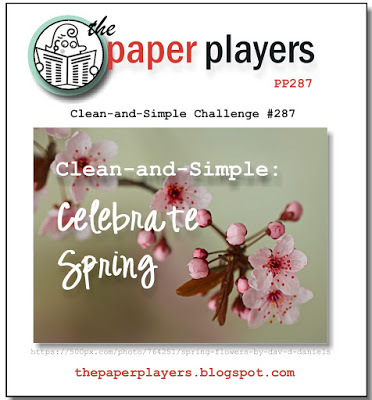 I also wanted to participate in this week's challenge over at The Paper Players #287 with the "Celebrate Spring" theme. The design is to be Clean and Simple (CAS). Happy Spring Everyone! Have a great week and please feel free to comment if you stop by as I treasure each and every one of them. I'm popping on here with a really quick card today for the Simon Says Stamp Monday Challenge for this week which is "Use Some Lucky Stars". I started this card by cutting a 4.25 x 5.5 inch panel of watercolor paper and water colored it using my Gansai Tambi Watercolors in #58 - Evergreen, #55 - Green, & #90 - Gold. I wet the entire surface of the paper with water. Then I "dabbed" paint on it first in the evergreen and then in the green. I spritzed the whole thing lightly with water after applying the color and just let the water and color move however it wanted. I had taped it to my small cutting board, so I could set it aside to dry and do some other things for a little while. Once all of the green was dry I dabbed more paint on in a random pattern with the gold paint. This time, I didn't add any water, but just let the paint settle where it wanted to. 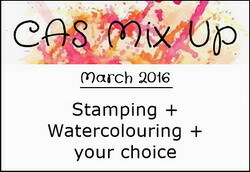 When dry, this gives you a fantastic marbled looking background which is great for a Clean & Simple (CAS) Card. Since I also wanted to play over at the CAS Mix Up, it was important to me to keep it to a single layer. Next I stamped my greeting and the moon and star from the WPLUS9 Lucky Stars Stamp Set using Versamark and heat embossed it with Ranger Gold Tinsel Embossing Powder. I love the sparkle this adds to any card. 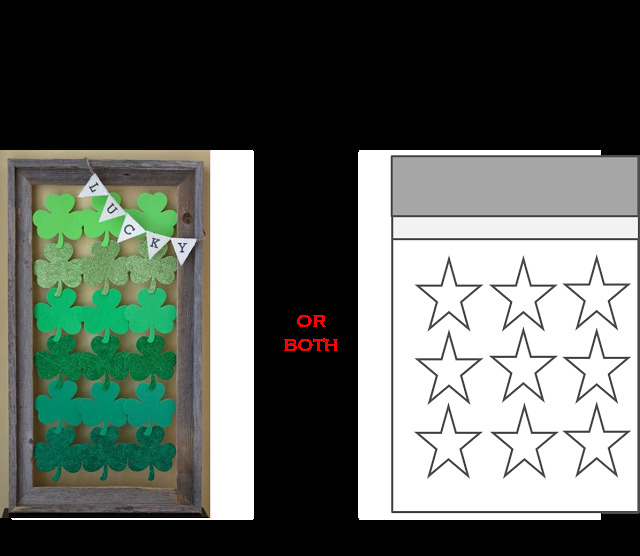 I cut several stars from the Simon Says Stamp Large Holiday Hearts and Stars Die from scraps of gold foil card stock. Using a Versamarker, I added a few dots with WOW! Platinum Sparkle Embossing Powder to give the appearance of some larger stars. For my final touch on the background panel I misted it with a light mist of glycerin water and then took a pinch of Iridescent Sparkle Embossing Powder and sprinkled it on the card front & heat set it. It gives a beautiful sheer sparkle imitating a starry night sky. Unfortunately I was not able to capture than in the photograph. Still, it makes for a very pretty card. I die cut the panel with the largest Simon Says Stamp Stitched Rectangle then adhered it to a Bermuda Bay top folding card base. 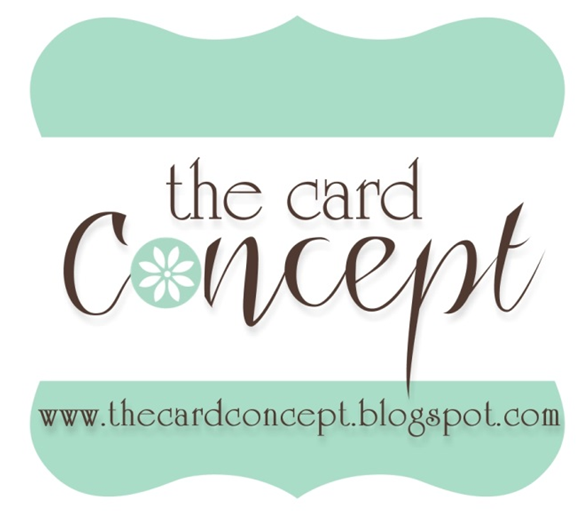 Single layer cards are by far the easiest to mail and don't require extra postage or hand cancelling. My best friend loves green so this is going out in tomorrow's mail for her! Thanks so much for stopping by. I really appreciate it when you take time to comment. Have a great rest of the weekend. 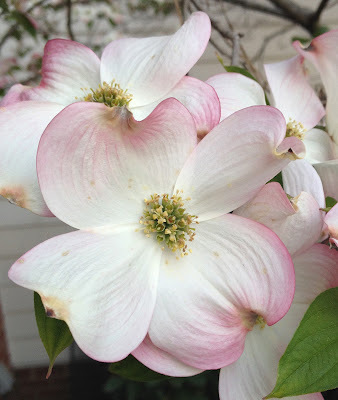 "At the time of the crucifixion, the dogwood had reached the size of the mighty oak tree. So strong and firm was the wood that it was chosen as the timber for Jesus' cross. To be used for such a cruel purpose greatly distressed the dogwood. While nailed upon it, Jesus sensed this, and in his compassion said, "Because of your pity for my suffering, never again shall the dogwood tree grow large enough to be used for a cross. Henceforth, it shall be slender, bent, and twisted, and its blossoms shall be in the form of a cross–two long and two short petals. There is nothing in this world that says "Easter" to me more than seeing a Dogwood Tree and Pink Dogwoods are (of course) my favorites! We saw lots of them on our 2015 vacation as we drove through Tennessee, Virginia, and North Carolina. My husband had not seen pink ones before and it was a definitely a treat for me as well. As I worked on another card for the The Card Concept Challenge #51 and was admiring the inspiration image, it occurred to me that I should be using some "Kraft" Cardstock with a Pink Dogwood Bloom to create an Easter card. I have had this Dogwood Bloom stamp by Impression Obsession for a number of years but I hadn't ever used it before. These days you can buy the cling mount version of this stamp which is fantastic. Now that I have fallen in love with water coloring, I had to try it with this stamp. It's not an outline image, but I figured I could work with it. I stamped the image in Versamark on Canson Bristol 96# Watercolor Paper and heat set it using Simon Says Stamp Antique Gold Embossing Powder. I love the soft white of this paper over some of the others out there on the market. Since the petals are mostly white, I painted the entire flower using a solution of Perfect Pearls & water, then let that dry. Once it was dry, I took my lightest pink Zig Clean Color Real Brush Pen in Sugared Almond Pink and went around the outer edge of each petal and blended that with more Perfect Pearls Solution. One of the nice things about the pigment powder is that you can make your solution as shimmery as you like. I just touch the very tip of my damp brush into the powder and mix it with a bit more water on an acrylic block. I went back in with the same color to add depth to that area for my second and third layers. The final touch on the blooms was using Pale Rose for the indication of each nail in the petals. The leaves were mostly covered with gold embossing powder but for what was showing, I used Mowed Lawn Distress Marker. When it was dry, I die cut it using the largest of the Simon Says Stamp Stitched Rectangles. The mat was a scrap of Pink Pirouette Cardstock that was laying next to my die cutting machine that I cut down to be 4 1/8th x 5 3/8ths. I adhered it to a top folding A2 Kraft Card Base. I die cut the Simon Says Stamp Exclusive "Easter" sentiment from some gold foiled cardstock and adhered it using Ranger Multi Medium Matte. 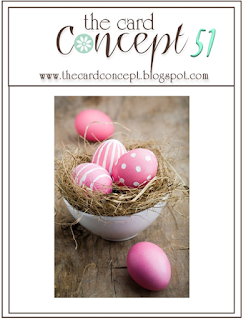 This card is Perfect for the Classy and Elegant Category on The Card Concept #51 Challenge, AAA Cards, the CAS Mix Up March 2016 Challenge and the Double D Challenge to make an Easter Card. I made quite a few Easter cards this year, but this one is a favorite. It was the simplest to do but really makes an impact. Thanks so much for stopping by. Please feel free to leave me a comment. I really enjoy reading them. For one of the cards I created today, I was inspired by a few sources. The first one is Kay Miller from the Papertrey Ink Design Team featuring new March Release items. She made this gorgeous card and the colors were so appealing that I just had to include a bright green and blue on my card. 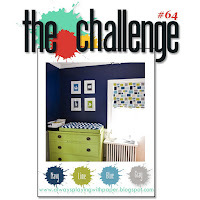 Once I saw The Challenge #64's Color Scheme over at Always Playing With Paper, I went with it. I started by stamping the butterfly image onto Canson Bristol Watercolor Paper in Versamark and heat embossing it with Ranger Gold Tinsel Embossing Powder. This Pen Patterned Butterfly is from Stampendous and it came with a set of masks for each of the three butterfly images in this set. There are also coordinating dies found here. After I did the heat embossing, I placed the mask over the image and created the soft blue background using a Mini Ink Blending Tool with Simon Says Stamp Maliblue Ink trying to keep the most intensity near the immediate area surrounding the butterfly. Once I had that completed, I colored in the Butterfly using my Zig Clean Color Real Brush Pens in May Green, Persian Blue, Cobalt Blue and Deep Blue (Navy) for the body and the spots on the wings. Let me add here, that the Japanese seem to have a couple of their colors mixed up from what I am used to. What they call Cobalt is what I would call Persian Blue and what they call Persian Blue, I would call Cobalt. There's a few other colors that don't seem the same as what I'm used to so I'm glad I have all my caps swatched. Once the butterfly was dry, I used my powder tool on the upper right side to make sure there was no moisture left and stamped and heat set the greeting which is part of the Tulip Time Stamp Set from Papertrey Ink. I just love that font! Once that was all dry, I still felt it was missing something so putting a drop of reinker with a mist of water, I picked up some of that and created the navy spatter. I let that dry and then added some spatter using Martha Stewart's Liquid Gilding in Gold and let that dry. It dries quickly but has some pretty significant fumes and should only be used outdoors. And it's best to use a throw away kind of paint brush unless you want to have to get a cleaner from your hardware store. Just do whichever one works for you. It's a very pretty touch. I could have used my Finetec Mica Gold Watercolors, but I wanted to try the Liquid Gilding. When everything was dry, I cut a top folding card base from Papertrey Ink Vintage Jadeite Cardstock and a mat from Audrey Blue Cardstock from Simon Says Stamp which has turned out to be the exact same color as Hawaiian Shores from Papertrey. 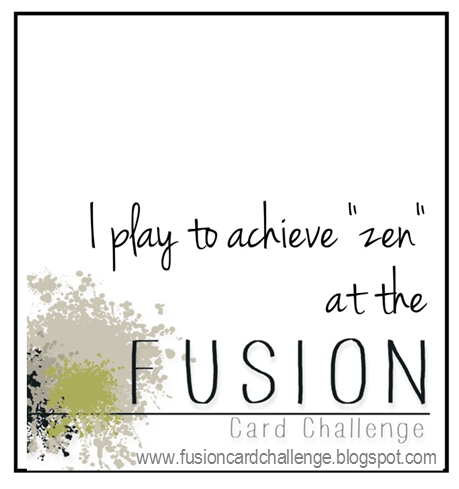 I assembled it all together and got inspired to make a second card in the same design but different colors. For this one I used the Zig Clean Color Real Brush Pens in Light Carmine, Deep Violet, Purple and Light Violet. Purple is more along the lines of what I would call Magenta and is one of only 4 colors I added to my set of 36 pens. I also added Persian Green, Light Sugared Almond Pink, and Emerald Green. I added this watercolor panel to a top folding note card made from Papertrey Ink Berry Sorbet Cardstock which seems to be my current favorite color. Both of the cards are bright and springy and will make someones day a bit brighter. I'll be entering the top card into the Always Playing With Paper Challenge #64 as well as the Create Along With Us March 2016 Papertrey Ink Challenge. 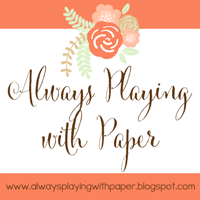 There are lots of challenges this week and next week has a challenge and blog hop for Papertrey Ink so I'll be back soon with my next project. I hope everyone is getting to enjoy some gorgeous Spring weather today! 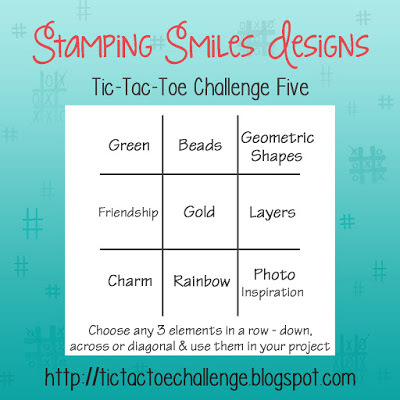 Today I am playing over on the Tic Tac Toe Challenge #5. 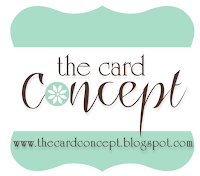 So you select your row and then you need to incorporate everything from that row into your card. My row is upper left to bottom right and includes having an inspiration photo to base your card on. 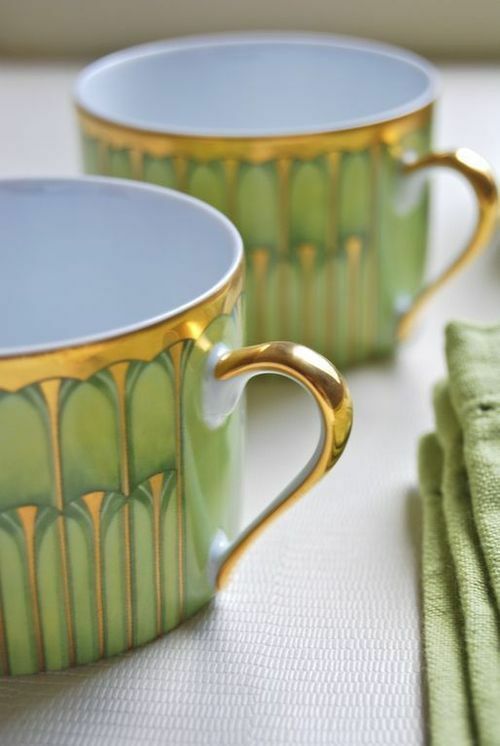 I went searching on Pinterest for some Green & Gold inspiration and settled on these cups with a very art deco feel to them. I found gorgeous photos from home decor, stationary, invitations, fine china, front doors, wedding color schemes and just about anything else you can think of right down to green and gold wedding cakes and fancy wedding shoes. It is a beautiful combination and I happen to really like gold. I always prefer it over silver. I die cut the Cover Plate: Twist from gold foiled cardstock to go over the top of my Vintage Jadeite Cardstock from Papertrey Ink. This is a "new to me" color and I love it. One of the things I really like about Papertrey Ink's Perfect Match Cardstock is that it is available in packs of 12, 24, or 50 sheets. So if it's a color I don't use as often, I can buy a smaller pack. This is so important to me because of the smaller amount of storage space required. I cut a piece of the Vintage Jadeite to 4 3/16ths x 5 7/16ths, ran it through my die cut machine with the same die and the embossing mat to give it that inlaid look, then attached the die cut using Ranger Multi Medium Matte. I also used a My Favorite Things Oval Stax in two sizes and the Leaf Filled Flourish Die to go with my Peony. 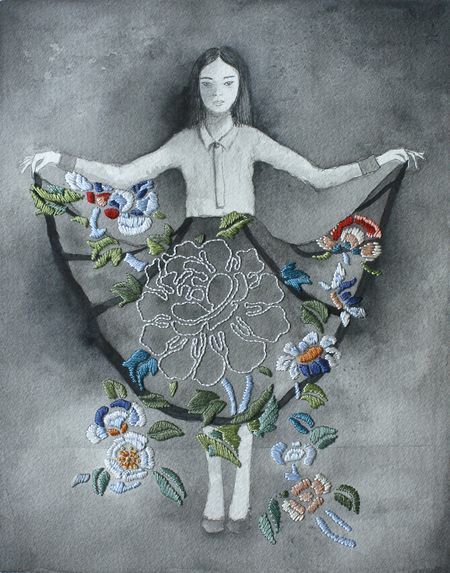 The peony is from Papertrey Ink's Peonies on Parade and I watercolored it using Worn Lipstick Distress Marker. The sentiment is from Graceful Greetings and I used the Graceful Greetings Coordinating Dies to cut it out after I stamped and heat embossed it with Simon Says Stamp Antique Gold Embossing Powder. 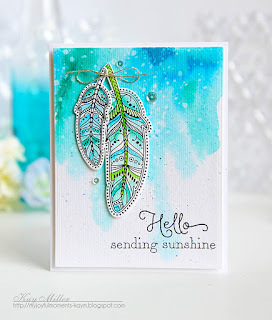 I'll also be entering this card over on the Simon Says Stamp Wednesday Challenge Blog for their "A Bit O Green" theme. After my initial post I found "The Card Concept" Challenge #50 and this card is just the perfect thing for the Classy and Elegant Style Category. This is my first time playing over there, so I hope they like my entry. 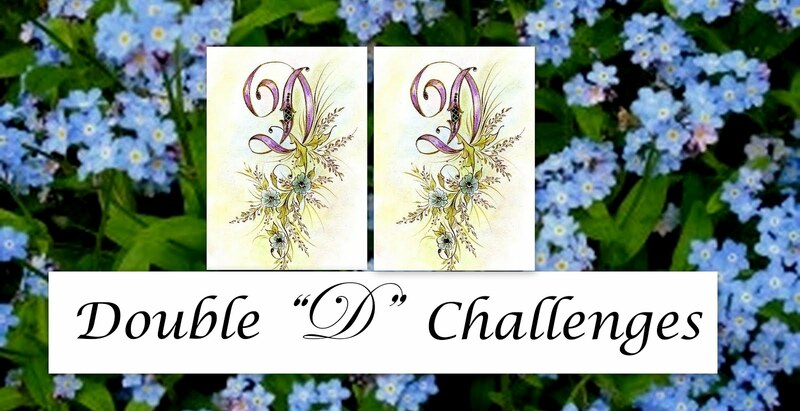 I also found another new challenge blog called Double D Challenges! So excited to participate in more challenges. Have a great weekend everyone and don't forget to set your clocks ahead one hour. It's time to "Spring Forward".